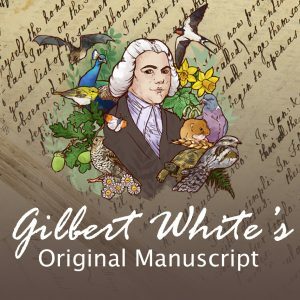 Volunteer and author of ‘To Edify & Delight: Introducing the sermons of Gilbert White of Selborne’ Louis Coulson shares his memories of previous celebrations of Gilbert White as we prepare for Gilbert’s 300th birthday in 2020.
while in reality we belong to Everything? 1962 saw the publication of The Silent Spring, Rachel Carson’s apocalyptic warning of the devastating effects of mass chemical spraying. For most people, the awareness brought by this book was the beginning of to-day’s Environmental movement. The “control of nature” is a phrase conceived in arrogance, born of the Neanderthal age of biology and philosophy, when it was supposed that nature exists for the convenience of man. In 1969 came the first Moon landing. For many people, however, the great moment was, not humanity’s first setting-foot on an alien, unknown environment, but the moment that Buzz Aldrin (I think) almost accidentally turned around, looked out and saw Planet Earth in all its beauty. The publication of the photo of that glorious view was another wake-up call: were we taking our planet too much for granted? It is only the wonderful traveller who sees a wonder, and only five travellers in the world’s history have seen wonders. The others have seen birds and beasts, rivers and wastes, the earth and the (local) fulness thereof. The five travellers are Herodotus, Gaspar, Melchior, Balthazar and Marco Polo himself. We would add to that list the first man to see Planet Earth, whole, in beauty; and then one who can see his/her own back yard with the eyes of Gilbert White. ‘It is only the wonderful traveller who sees a wonder…’ Count the number of times the word ‘wonder’ occurs in the Natural History (and Antiquities!) of Selborne. ‘You are more able to see with your own eyes than any man I know’, said John Mulso, Gilbert’s best friend – when asking Gilbert to find him, first a horse and then a Curate. In the same year 1969, the naturalist Dr Frank Fraser Darling gave the BBC’s annual Reith Lectures: Wilderness and Plenty, on the responsibilities that go with our increasing power over the natural environment. He too was convinced of the need for preservation of the few untouched plant and animal communities and their habitats, the positive sense in which I am using the word wilderness, and … the rehabilitation of the existing degraded environments in which so many live…Sometimes Nature has to be protected from the human species….Nature exists in its own right and our attitude to it is a measure of our consciousness of the whole situation of which our survival is a part, not be-all and end-all. 1970 – G W 250 – saw, among other things, the publication of Anthony Rye’s idiosyncratic and affectionate book, Gilbert White & his Selborne, illustrated by the author’s sketches. It includes a perceptive biography of White, and a lyrical description of Selborne, with reminiscences of some of its characters. There is a chapter titled A Special Place – it ‘must not be trampled underfoot’ – and though through-traffic is called ‘a great danger and a nuisance’ (in 1970! 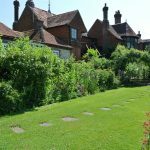 ), the author concludes by believing that Selborne will continue under Providence as when it was sent its Gilbert White, to be a place of joy to us as to him, and a reminder of his excellence for ever. So important to Gilbert was the near landscape of his childhood! I believe the power of observation in very young children to be quite wonderful for its closeness and accuracy. Indeed I think that most grown men who are remarkable in this respect, may with greater propriety be said not to have lost the faculty, than to have acquired it; the rather, as I generally observe such men to retain a certain freshness, and gentleness, and capacity of being pleased, which are also an inheritance which they have preserved from their childhood. The near landscape is valuable and lovable because of its nearness, not something to be disregarded and shrugged off; it is where children are reared and what they take away in their minds to their long future. What ground could be more hallowed? PERSONAL MEMORY Rye’s Gilbert White and His Selborne was published in 1970 at seventy shillings or L3.50, so I waited until, some time later, I found it secondhand in London for L1.80 – but you can be sure it was ordered post-haste from the local Library. That summer, we were due to leave for my first-ever Rectory on a very wild and beautiful edge of Dartmoor. So for one of my last turns on [Truro] Cathedral preaching rota I spoke about the wonders of Creation and the need to look after it; beginning with Masefield’s Five who saw Wonders (see above), and then adding Buzz Aldrin – and Gilbert White. It was a privilege I’ll never forget.